On Friday we helped Amazon Web Services launch a new online puzzlehunt, called AWSQuest. It’s been a couple years since we’ve done an online hunt, and so we look forward to seeing fans of The Maze of Games and Puzzlecraft online crack-a-lacking at the puzzles. Fair warning: They aren’t easy. Which means it’s all very tragic when he explodes into a million pieces. Jeff is distraught, but Ozz left rebuild instructions in the form of hidden puzzles on the AWS blog site and elsewhere. 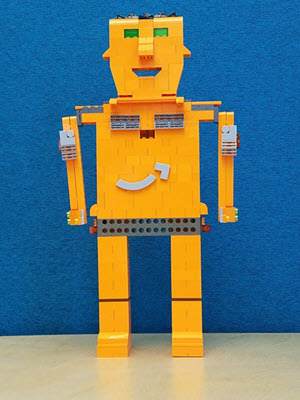 Ozz 2.0, if he can be built, will be quite the technological upgrade from the original. But first Jeff needs to find all the components, and identify them by name at this site. That’s where you come in. If you want to play, head to the blog site and help Jeff unlock these components. If you just want to check in on the progress others have made (warning: SPOILERS), you can look in on these brand new threads on Reddit and ARG World. They’re just starting out, so you can still start from the top. This quest has led us to some cool places we wouldn’t normally get to go to, such as the Amazon Spheres and the re:Invent conference in Las Vegas, where we saw a fascinating LEGO machine. Before AWSQuest, our last puzzle project was the Pythagoras Day Hunt for MoMath last summer. We’ve been focused heavily on getting our new boardgames into the hands of our fans, but we’re always looking ahead to more puzzle projects. We’re excited about the upcoming Maze of Games Escape Room from Epic Team Adventures, and just got some news that many folks will love. A few years back, Thomas Snyder and Mike had a book published by Sterling Publishing called Puzzlecraft: The Ultimate Guide on How to Construct Every Kind of Puzzle. The book showed a step-by-step approach to designing every puzzle type. It was shockingly popular, especially with teachers and puzzlemakers. It sold a bunch of copies, and then it was gone. With every copy sold, Sterling declined to print more. Since most of them were now written in by puzzle enthusiasts, unblemished copies started going for hundreds of dollars online. That’s not cool with us. 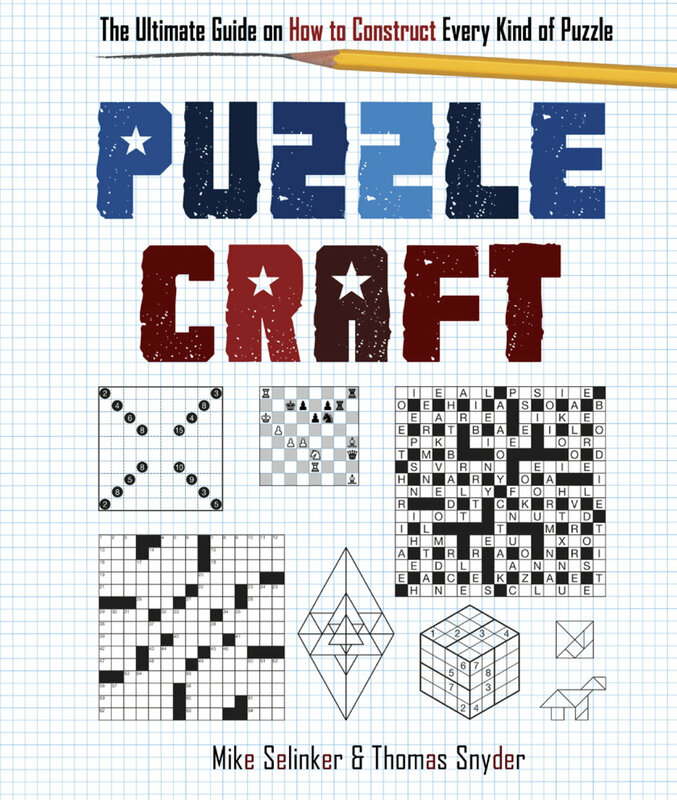 We figured you’d like to know that we now have the rights to Puzzlecraft back. What we do with them is unclear. But we’ll be exploring ways to get this book back in print. Because you shouldn’t have to pay hundreds of dollars for a puzzlemaking book. That’s what we think, anyway. That’s it from puzzle central today. Enjoy AWSQuest, and we’ll see you online. P.S. If you’re a retailer of games or books and will be at the GAMA Trade Show in Reno this week, stop by the Lone Shark Games booth! We can show you a lot of cool things. At this time we have nothing more to announce other than we are currently exploring options. As soon as we have more information it will be posted to our website.